If you are one of the many scrapbookers that documents the joy of the holidays by creating a December Daily Album a la Ali Edwards, then you may find this little freebie useful. 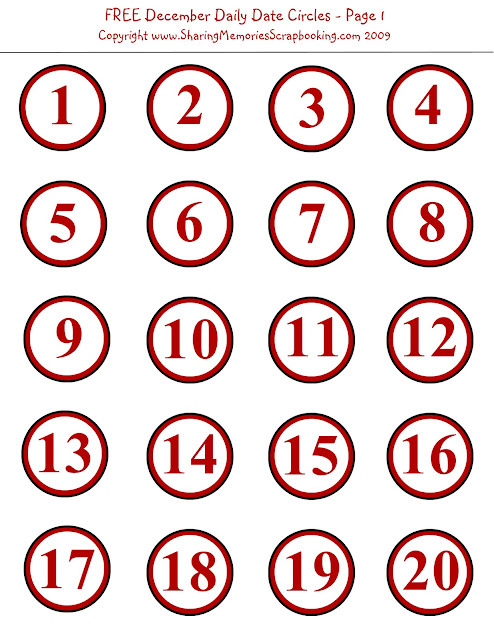 I created this set of date circles to use in my own December Daily Albums a couple of years ago and posted them to my blog way back in November 2009. Since then pictures have been deleted, links have changed and files are no longer active, so I thought I would post them for you again! There are 31 date circles as well as some seasonal words and icon images. I am no designer, but I created them easily in Creative Memories Storybook Creator Plus (which has awesome designer features and makes anything you make look great). 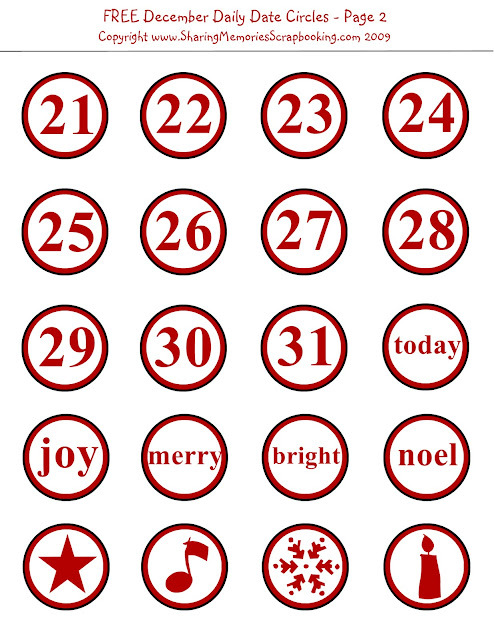 Besides using them in a December Daily Album, these little circles would be great for an Advent Calendar project, Holiday Countdown scrapbook page, or you could even use the word and icon circles as gift tags. Feel free to use them however you like, and I'd love it if you shared them with friends.